Finding a good upholsterer can sometimes be tricky. Finding one who is both skilled and innovative is even more difficult, and that is why Manhattan-based Luther Quintana is one of the tops in the field. 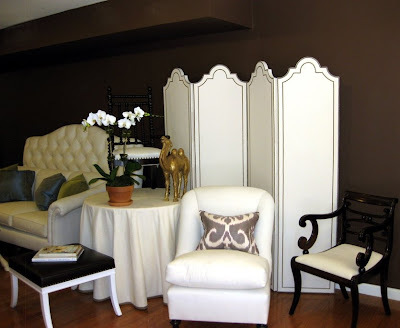 Having been in the upholstery business for over twenty years, Luther is the go to guy for some of the top decorators in the trade: Miles Redd, Tom Scheerer, and Jeffrey Bilhuber, just to name a few. In fact, if you've read an article about one of these designer's projects, you've probably seen Luther's work without realizing it. 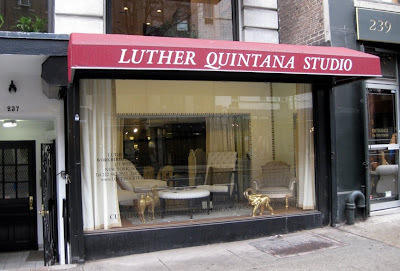 Luther recently opened a second showroom in Manhattan called Luther Quintana Studio. 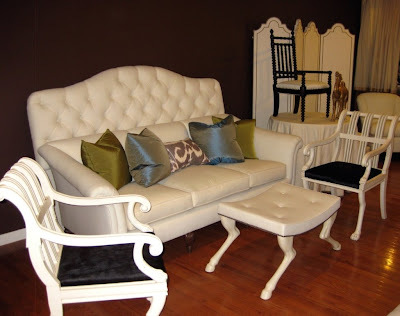 Located near the D&D Building, the studio showcases much of Luther's fabulous upholstered pieces as well as antiques, decorative pillows, and accessories. I think that once you see Luther's work, you'll realize that you can't go back to ho-hum and mediocre upholstery (something which many of us seem resigned to while we search for that upholsterer who wants to branch out and try something new). If you're in the neighborhood, you should pop in for some inspiration. Also, make sure to visit Luther's website for many more photos of his work. The ottoman, screen, and sofa are just a few of Luther's current favorites. Just think how great these pieces would look in our favorite fabrics. thanks Jennifer. I've been drooling over Luther's website. I agree about the piece half bench\half horse- witty, surreal, fabulous. Check my blog for a white horse to top all horses! Beautiful work! I wish there was some central website where you could track down good upholsters by area. 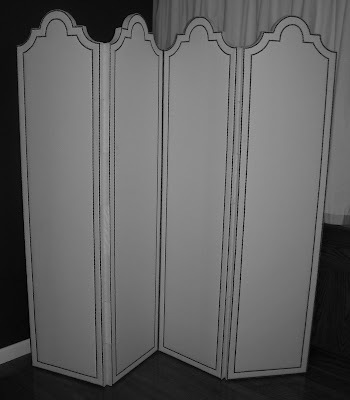 Nothing's scarier than leaving your innocent furniture in the care of nail and scissor wielding strangers. Rose- I just love that bench. Now that's a statement piece! Wow, Jennifer! Luther's work is in a class by itself. Good upholstery is a true work of art. Have a wonderful weekend! 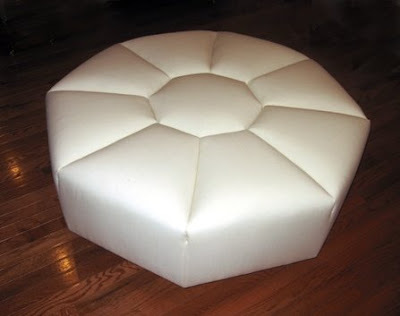 Great upholsters are so hard to come by! Thanks for the info! 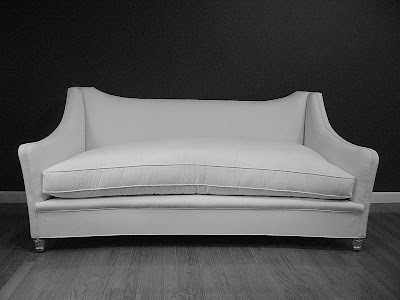 Another great upholsterer/draper is Michael Tavano (or as he says "custom clothwork"). His showroom is at 200 Lex and his site is at www.michaeltavano.com. Jamie Drake uses him for all his projects and that raspberry bed to die for on the website is from a showhouse Jamie did. 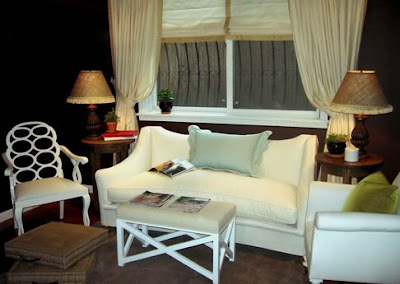 I just love the sofa - a good upholsterer is hard to find! wish I was closer!